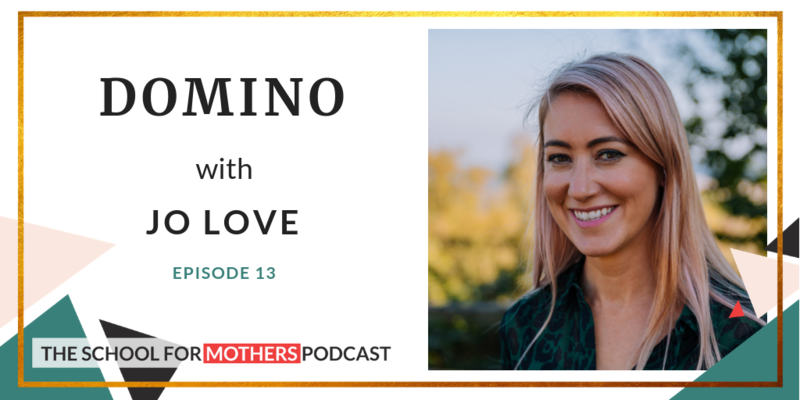 In episode 13 called DOMINO, Danusia is joined by Jo Love; entrepreneur, influencer and award-winning founder of the online marketplace Lobella Loves. Jo raises awareness of postnatal depression and the importance of creating more visibility on this topic. Jo shares her own story and provides helpful advice on self-care and how she deals with PND in her professional life. Jo Love is a successful entrepreneur and the award-winning founder of online platform, Lobella Loves. Jo is a passionate influencer on mental health issues and has launched various campaigns to bring about change on the topic, among others the ‘Notes of Hope’ campaign, Tea for PND events and recently #depressionwearslippy on Instagram. 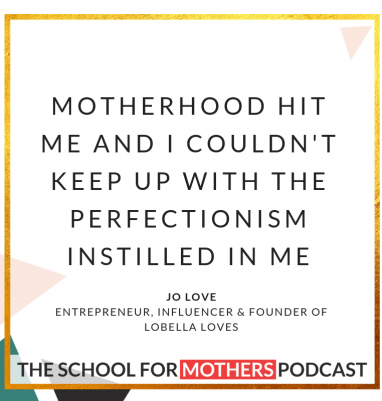 Jo suffered from postnatal depression herself and through her brutally honest stories of her own struggles, which she posts on @lobellalovesjo, she has become an advocate for maternal mental health. On top of that Jo built a business designed to make a difference and donated a percentage from every single sale to Cocoon Family Support, a charity supporting families suffering from pre and postnatal mental health issues. Most recently Jo has begun focusing more and more on mental health advocacy and consultancy. Jo is also co-host of the podcast What I Wish I Had Known.